Seattle’s 155 days of rain a year puts residents at greater risk for water damage disasters, so count on 911 Restoration Seattle to be there any time of the year. In our many years of experience, we have seen it all: water disasters caused by firefights or broken pipes flooding basements. Our water damage Bellevue team offers our same day service, so you are guaranteed calmness in a storm of chaos. Wake up the day after an accident to the fresh start that only we can bring you. Our teams are completely dedicated to customer satisfaction and that is why we are capable of responding within 45 minutes to any emergency call for help. Additionally, our crews know that accidents happen at all times, and to help with anything no matter what, we are available 24/7/365 so that nothing stands in our way. If your property is already amid a flooding nightmare, then contact our water damage restoration Bellevue team with 911 Restoration Seattle for help today! Minimizing the cost of water damage restoration efforts are a homeowner’s top priority, so limiting the extent of water damage will limit the cost for customers. The leading cause of water damage in Seattle is poor water drainage. The most costly of restoration efforts are attributed to prolonged water activity that goes unnoticed by homeowners. We recommend checking for leaks and signs of humidity often to prevent mold growth. If a space smells musty, it is possible damage has already taken hold and mold might be present. Know where you water-valve is. It varies from home to home, so check in basements and outdoors for one. In case of a flood, such as a broken water line, we recommend that you shut off the water-valve to the home immediately. This can ease panic and limit that amount of damage possible. 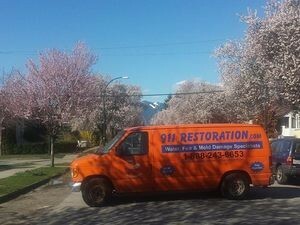 911 Restoration’s water damage Bellevue team is on standby, ready to tackle all your disaster restoration needs. 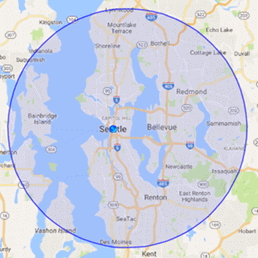 Call our water damage restoration Seattle team with 911 Restoration Seattle to keep your worries away today! Water damage is sometimes a detective’s game, so if you discover a mysterious leak call 911 Restoration Bellevue. We can solve any case by starting with our free inspection for homeowners. Take this emergency mystery for example. Noticing a ceiling leak in his home office, a Seattle customer climbed up to the attic to find the source of the leak. To his dismay there was no sign of moisture. 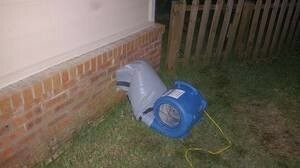 Equipped with humidity and leak detectors the water damage Bellevue team was able to find the source of the leak. Water was collecting underneath his attic subfloor, and his home office was the first room to show symptoms. Hidden pockets in the home, like crawl spaces, are spaces homeowners hardly frequent. A subfloor to an attic like this could collapse, swamping the rooms below. When water pools it weakens the integrity of the building material around it. Dry rot mold can grow and take over the structures of your home. Fortunately for the customer, our 911 Restoration of Bellevue team was able to seal the leak, dry the space, and prevent costly damage to his home.911 Restoration’s priority is our customer. Saving you money is our goal. We file the water damage insurance claim for you. The Bellevue team was able to get the entire cost of the restoration covered by his insurance company. For our customer, his brand new start was leak free. Don’t wait until it is too late. Call our water damage Bellevue team with 911 Restoration Seattle if you think there is a leak that needs fixing and we will be there for you today!